Four best friends, One, Two, Three and Four all live in a house that is a home. They live happily, all together, until One decides he wants to become a pirate. Two wants to move to the mountains, Three prefers exploring caves and Four thinks it would be a great idea to move to the city and boogie-woogie all night long! The friends can't agree on where they should go, so they go their separate ways and take different parts of the house with them. Soon they find that without each other a house truly isn't a home. The four best friends work together and find a solution to visiting different places. 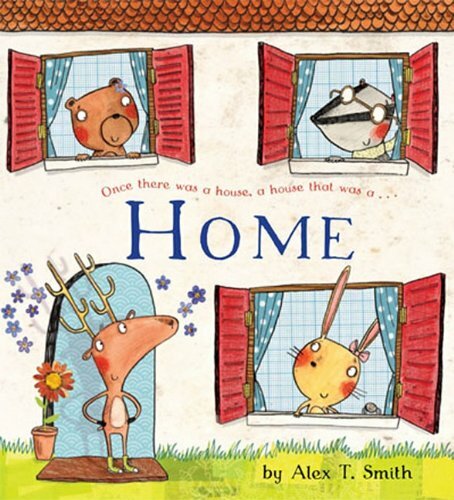 About Alex T. Smith (Author) : Alex T. Smith is a published illustrator. 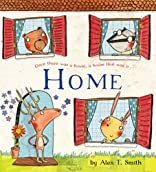 Published credits of Alex T. Smith include Round and Round: Harry's Beautiful Balloons.